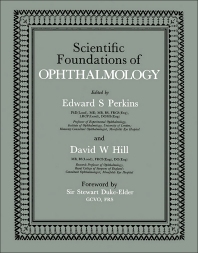 Scientific Foundations of Ophthalmology focuses on scientific grounds of ophthalmology, including anatomy, genetics, pathology, and epidemiology of blindness and blinding diseases. The selection first offers information on aqueous outflow pathway in vertebrate eyes; retinal receptors and pigment epithelium; and vascular supply of the optic disc. Discussions focus on glaucomatous cupping of the optic disc, venous drainage, receptor synapses, outer plexiform layer, primates, and lower mammals. The book then ponders on anatomical and neurophysiological review of cerebral control of ocular movements and the structure and transparency of the cornea. The publication elaborates on the biochemistry of lens, regulation of retinal blood flow, and biochemical basis of toxic amblyopias. The text also takes a look at the hereditary aspects of glaucoma, inborn errors of metabolism, retinal dystrophies, and gyrate atrophy of the choroid and retina with hyperornithinaemia. Vitreoretinal degenerations in myopia, retinitis pigmentosa, albinism, lens dislocation, and storage disorders involving complex lipids and carbohydrates are discussed. The selection is highly recommended for ophthalmologists and readers interested in ophthalmology.